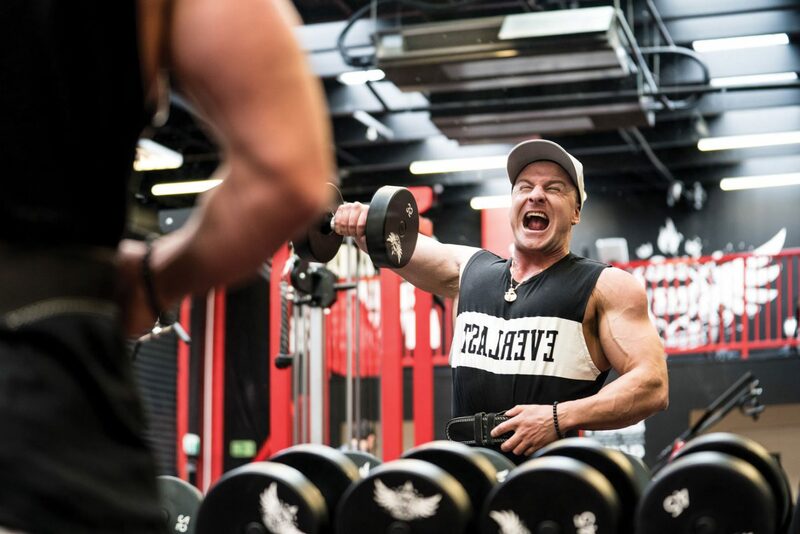 You might take one look at the gleaming muscles on Josef Rakich and immediately jump to the conclusion that he’s just another gym junkie, with muscles for brains and an attitude to match. But when you look at Josef’s business, Josef Rakich Fitness, a business he started out of a passion for fitness and health, that has helped over 100,000 people worldwide achieve their fitness and health goals, along with his 4 million social following, you’d be proven very wrong. I wake up, have my breakfast, and I usually get my laptop out and put on something motivational and just listen to that, watch it and take all the information in. From there, I brush my teeth and head out the door to the gym. What sort of routines do you have each day? The gym is my routine. The time that I go always changes but I try to get it in first thing in the morning and after that the day is pretty much free to do whatever. I just focus on creating content and catching up on emails. So how did you start your fitness journey? It’s a bit of a weird story. It started back many years ago when my mum won a free 2 week gym trial. She gave it to me because she didn’t want to use it. So I went along and met some mates there from school who I got along with. I wasn’t really into the gym as such but I kind of went for the social environment, just chatting with my mates and it was a place to go after school and hang out. Funnily enough, when I was at school I loved P.E. and running outside and playing sports. However, whenever we had the weights room, I always “forgot my clothes” because I didn’t like lifting weights. I was a skinny kid, 61kg. So I went for the 2 week trial and ended up joining the gym, not because I liked it but because it was a hang out place. I started going a couple of times a week and even when I was doing that, I wasn’t on a good workout programme and I wasn’t really following the best diet but I started noticing my physique change. I started helping people and so many people started contacting me for advice, asking how to do it. That’s when I set up website and started offering the service. From there, I expanded through social media, started filming videos for YouTube, creating content for Instagram, Facebook, Snapchat, Twitter; everything I could as a way for me to get more exposure and get in front of more eyeballs, more people. So it started off as something I didn’t really enjoy, turned into a hobby and then it developed into a passion and it’s my career now. Obviously it takes a lot of motivation to stay fit and healthy, so what is that motivating factor for you? It’s weird. I guess I’m motivated by my physique changing and seeing the results. I’m also motivated by everyone who follows my journey and wants to see my progress and see what I’m up to. But then at the same time, some people ask me how do I stay motivated to go to the gym? Sometimes it’s not even motivation, I don’t need motivation to go to the gym. I’ve said this online before, but I look at it like someone who enjoys playing basketball doesn’t have to wake up and find motivation to play basketball, they just wake up and go and play because it’s what they love to do. The same thing for me, I wake up and I don’t have to find motivation to go to the gym. I just wake up and I go and do what I love to do, which is lifting weights. So is there anything you don’t like about going to the gym? It’s all fun and games, I love it all. I guess there are days that you’re not feeling 100% ready to go to the gym and have a crazy workout but those days come and go and you get through them. So this is more than just staying healthy, this is a lifestyle and career for you? It’s 100% a lifestyle. It’s what I love to do and I guess that’s why I’m so into my career because I’m loving what I do every single day. Tell us about your business JRF. Josef Rakich Fitness is an online personal training company where I help people from all around the world, males and females, transform their lives. Whether it be a skinny guy trying to bulk up and put on muscle or someone who is overweight trying to cut down and lose some body fat and get lean. I change their physiques through my customised meal plans and workout programs which are all personalised to each individual. So what made you want to turn that into a career? It was the responses from all the people who use to send me their transformations after they followed my meal plans and workout programs and they were getting amazing results. Seeing their transformations and hearing their feedback about how much it changed their life and turned their life around, it was just such a positive thing that got me motivated even more to continue helping as many people as I can around the world. And now we’ve helped 100,000 people worldwide. What goes into building a meal and workout plan? Way back in the day, everything was done manually because every single client is an individual and everyone requires a different amount of calories. A small women trying to lose weight will need a lot less calories than a big guy trying to put on weight and put on size. So everyone requires a different diet, different calories, protein, carbs and fat and different training styles. I use to do this all manually but it got to the point where I could not scale and I could not take on more clients because there’s not enough hours in the day. So that’s where I came up with a system to create software that could create meal plans exactly as I would if I was to manually create them. So once a client signs up with me, they enter all the information that they need; their height, their weight, age, gender, daily activity levels, what their goals are, what foods they’re allergic to, any injuries they have. With all this information, it can workout how much protein, carbs and fat they need to achieve their goals, based on the requirements that I’ve personally set. What’s that first step that people need to take in order to start that journey to get fit and healthy? They have to get proof of transformations and see results and that gets them ready to start. But I always say, the only way to start is to actually start. To start, you have to commit and once someone commits and goes all in and they stick to the plan, the results are phenomenal. What do you think about all of these diet trends and fads that are constantly popping up all the time? I think they are good and bad. I think they are good because they create structure for someone’s life. For example, I’m a big fan of the ketogenic diet, which is a high fat, zero carb and moderate protein diet. Now, I’m not saying a keto diet is better than a normal diet containing all protein, carbs and fats if calories are equal in both scenarios. However, there are a lot of benefits of the keto diet and sometimes sticking to certain rules for a certain type of diet helps people to adhere to it, therefore they get better results. But again, I’m also on the other side of the fence saying you shouldn’t exclude certains foods for whatever reason. So it comes down to personal preference; what works for the person, what can they best stick to and adhere to. So how did you turn your passion into a business? I believe I did that from just being consistent with doing what I love. I love lifting weights and I love documenting what I do. So I was in the gym everyday lifting weights, taking pictures, filming videos and always publishing my stuff up online for other people to see. I use that content that I create to inspire and motivate others to do the same. If someone wants to get into something they love and they are passionate about, all they have to do is take the first step and get started. What do you think about the powers and trends of social media? Social media is amazing but it’s got pros and cons like everything. Some people say social media has got us all stuck into a world that’s not really real and we’re spending more time on our phones than spending time with actual people in real life. Even when you go out for a social event now, instead of talking with people at the table, you’re all on your phone chatting to other people. But I also look at the pros that social media has created. I’ve met and I’ve made so many friends via social media from different countries all around the world that wouldn’t have been possible without social media. Then when I go to these countries like America, Australia, Canada, I meet up with them for the first time, we get a workout in and we do a collaboration. That would’ve never been possible before social media was around. And it’s also a great platform to use to get exposure and to get your name out there. In the past, if you wanted to get your name out there, it was only through TV or magazine or radio. Now, social media has just opened up a whole new window. There’s a lot of talk about people only showing the best 5% of their lives on social media and there are problems with other people seeing this and comparing themselves to this. As an influencer, what do you think about this? I believe this is something that has contributed to the fact that there are so many depressed people around the world. What you have to remember is when people use social media, all they do is post the best moments of their life at their most exciting times. Then when other people view this, they look like their having the time of their life, their life is amazing. But what they don’t understand is it’s only the best moments and the best times that they’re putting up there, no one wants to put up a picture when they just woke up they look their worst. Everyone is human and everyone their ups and downs. Social media is just your best experiences. I try to be as real as I can and not always just put the amazing stuff up there. So there’s a bit of both, you have to play that line. Do what you love and love what you do and be consistent at doing that. And also have no expectations. I find if you can have no expectations with anything in life, you’re always happy. I want to expand Josef Rakich Fitness as much as I can, be a household name and help more than 1 million people worldwide transform their lives through my meal plans and workout plans.